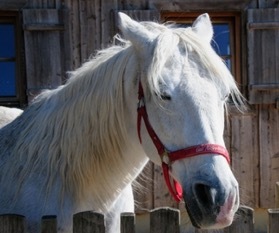 This therapy has developed from the Bowen Technique that is used on humans, and is the only Bowen on horses recognised by the Bowen Academy of Australia. An Australian - Tom Bowen developed the Bowen Technique for humans during the 20th century, so is fairly new and it wasn't until 1990 that an Australian, Alison Goward began to use a variation of the technique on horses. Bowen could not be directly transposed to horses due the anatomical differences between humans and horses so EMRT™was born. 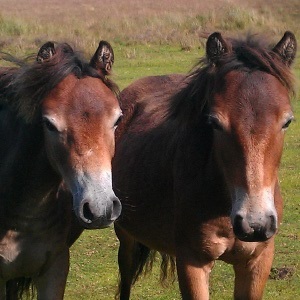 Equine Muscle Release Therapy is a technique which signals the brain to initiate the healing process and to help the horses body regain its 'balance'. It consists of gentle moves on soft tissue that stimulate energy flow, enabling the body's own resources to heal itself. The signals are sent via specialized nerve cells found in the fascia of the muscle. Fascia is a membrane like plastic wrap that covers every organ, blood vessel, nerve, muscle and every bone. Fascia is between the firm connective tissue (bones, ligaments and tendons) and the liquid connective tissue (blood, lymph and cerebo-spinal fluid) – fascia is continuous throughout the whole body – joining everything to everything else within the body. Fascia should be loose, mobile and elastic however, the fascia network can cause muscles to be tense when it becomes rigid – holding shapes of dislodged parts. Therefore pain that is thought to be due to tense muscles may not be at all but is in fact due to the fascia covering the muscle. EMRT™helps correct restrictions and misalignments of fascia and tissue, restoring symmetry and balance to the body at a musculo-skeletal level. Also energy flow is improved which in turn helps free congestion, increasing the circulation of nutrients and the removal of waste products from the horse’s body. EMRT™work consists of a series of precise moves on specific points of the body. The moves are gentle and light with frequent pauses between each series, by using positive moves that initiate a positive energy flow and negative moves that isolate this energy to a specific area EMRT™can produce a lasting relief from discomfort and pain.